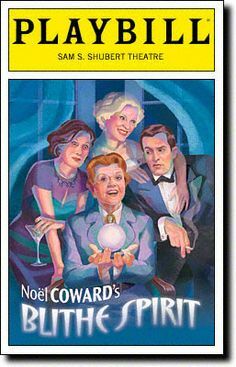 Angela Lansbury Taking ‘Blithe Spirit’ On North American Tour!!! I seriously hadn’t thought of Angela Lansbury in years. Sure, I’ll make the ‘Murder, She Wrote‘ joke when the opportunity presents itself, but in my mind, she lives in a cabinet in The Beast’s castle and sings with dishes on occasion. Apparently, she’s not sitting in a cabinet. In fact, the actress is winning Tony’s and impressing the hell out of critics and theater-goers alike, with ‘Blithe Spirit‘. If you happen to be so lucky to be in one of the cities that the cast will be touring through, do yourself a favor and check it out! This is a show that started in 1941 and ran for 1,997 performances! Later that year it ran for 657 performances on Broadway. The play was adapted for film in 1945 starring Rex Harrison, It was then adapted for TV in the 50’s and then for radio in the 60’s. The play has had numerous revivals both from Broadway and London’s West End. Noel Coward’s ‘Blithe Spirit’ seems to have every range of emotion humanly possible into one show. Charles Condomine, a successful novelist is trying to come up with some new material for a book he is writing. 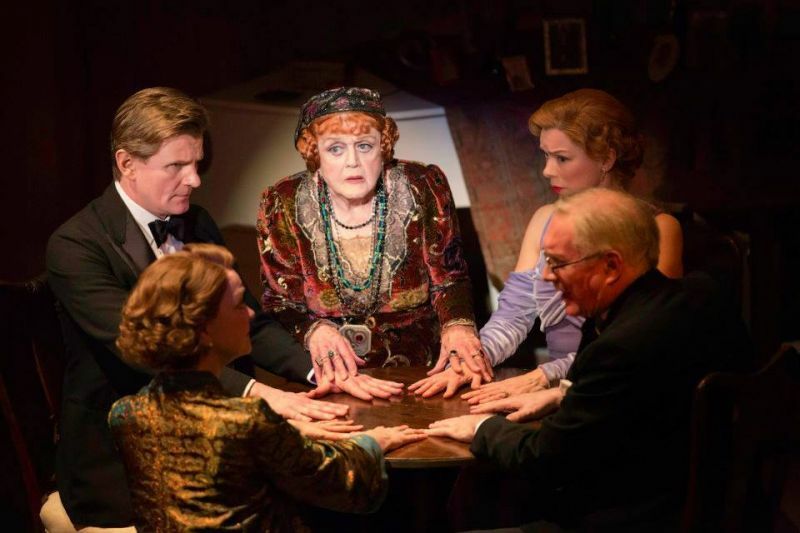 He brings in an eccentric medium, Madame Arcati (Lansbury) to hold a seance at his home. During the seance, she inadvertently summons the writer’s first wife, Elvira who had been dead for seven years. The medium leaves after the seance unaware that she has summoned the writer’s late wife. Only the writer can see or hear Elvira and his second wife, Ruth, doesn’t buy his stories that the first wife exists until a floating vase is handed to her out of thin air. As ghostly first wives tend to do, she disrupts the household and the family with a vengeance. The climax of the story is definitely worth seeing and I won’t give it away here. Trust me, the show is entirely worth the time and money to go. 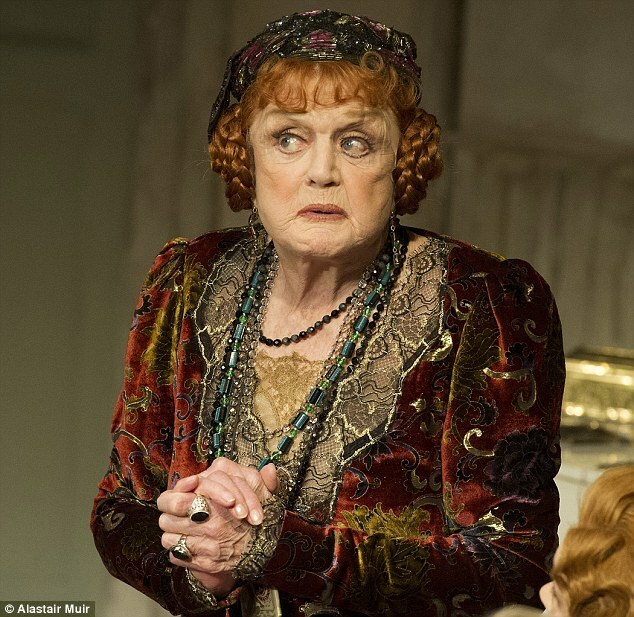 Lansbury won her fifth Tony Award for her performance as Madame Arcati with the revival showing in December of 2009. Other performers include Charles Edwards (‘Downton Abbey‘), Jemima Rooper (‘The Black Dahlia‘) and Charlotte Parry (‘The Importance of Being Earnest‘). This entry was posted on Tuesday, September 16th, 2014 at 4:00 pm	and is filed under Events, News, Performance Art. You can follow any responses to this entry through the RSS 2.0 feed. You can skip to the end and leave a response. Pinging is currently not allowed. « Fans of Family Dysfunction – The Griswolds Are Returning To The Big Screen!! !